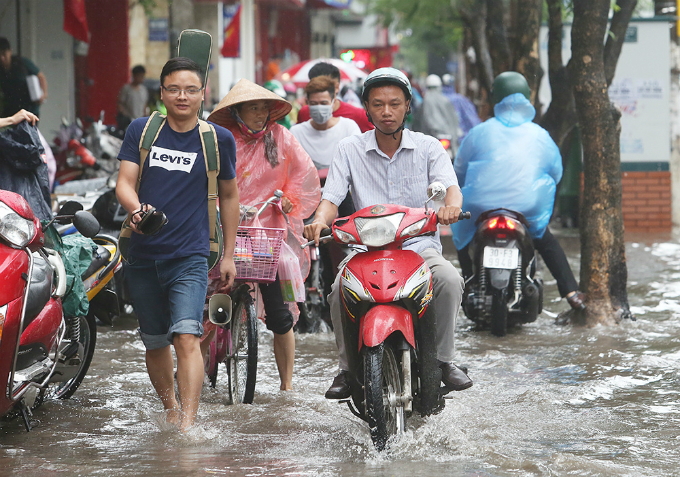 The first summer rain has turned several parts of the capital into waterways. 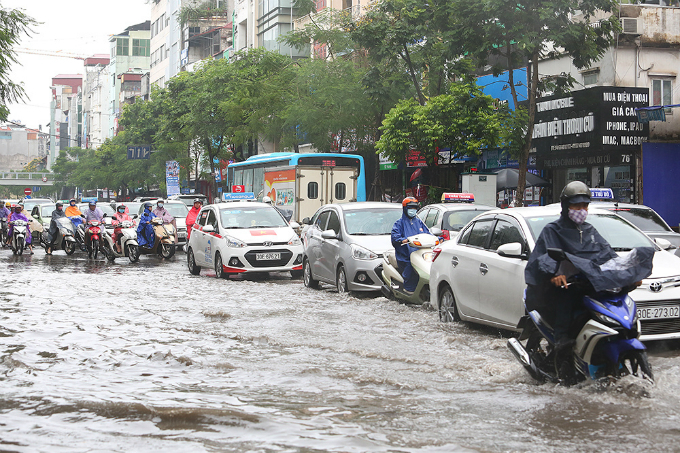 Heavy rain lasting 30 minutes on Friday morning left some Hanoi streets under 50-80 centimeters of water. 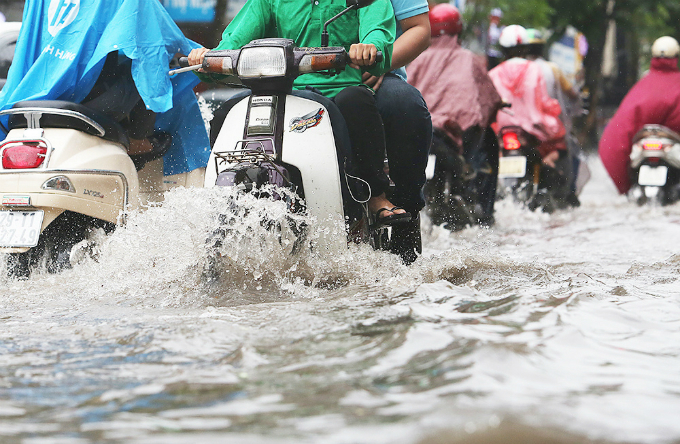 Locals drive their motorbikes through a deeply submerged intersection. 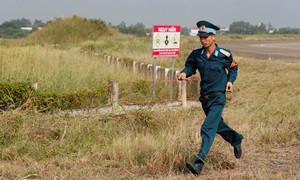 Drivers pull away from a submerged area. 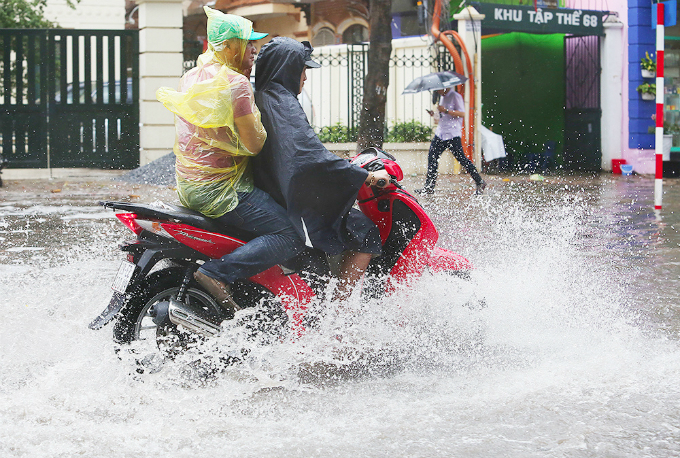 A woman walks her motorbike through the water. 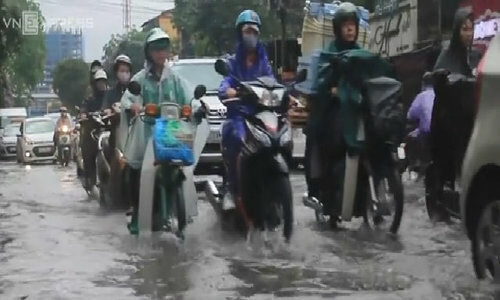 Drivers opt for the sidewalk to escape the floodwater. 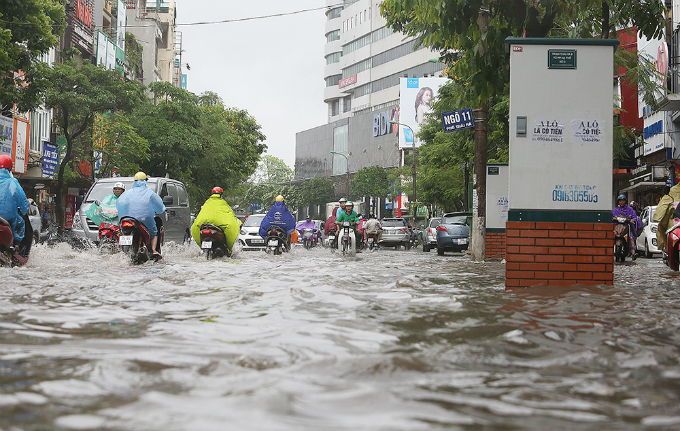 Thai Ha Street in Dong Da District was submerged after the rain. 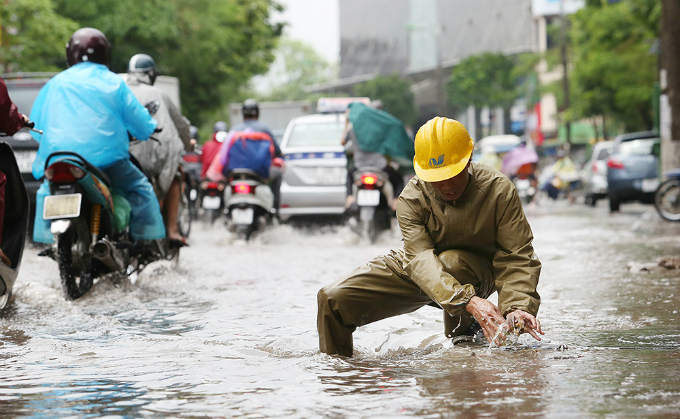 A worker from Hanoi Sewerage and Drainage Limited Company tries to clear a sewer on Huynh Thuc Khang Street. 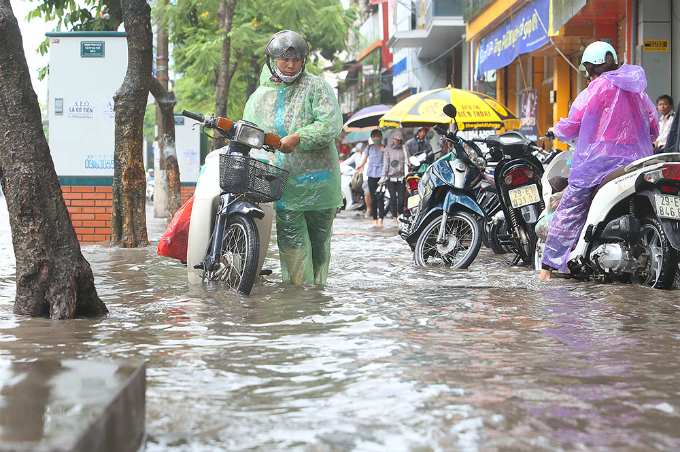 Staff at a clothes store mop the floor after the floodwaters receded. 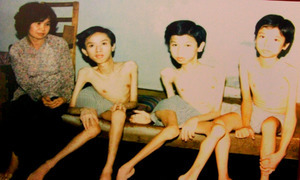 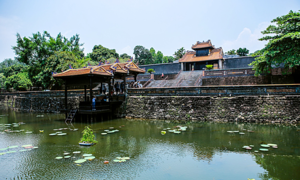 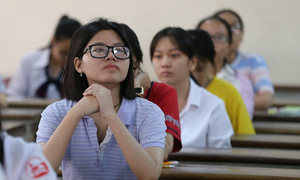 Meteorologists have forecast more downpours in Hanoi from now until next Monday.